As many people know gold sets the standard for currency value across the globe. Often the price of this commodity is spoken about in U.S. dollars and the value of it will fluctuate with market conditions. The forces behind these fluctuations are many, they are what keeps the market stable or not. The biggest factor in the stability of the gold market is world events. 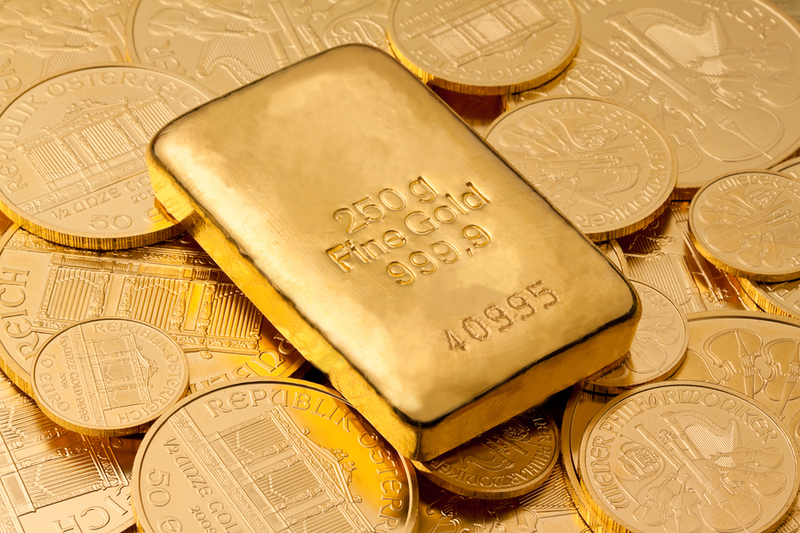 Lack of confidence in financial markets and governments will cause gold prices to rise. Taking recent events into consideration, for example, the rising tensions between Russia and The USA have seen the price of gold soar to over $1345/oz. This is a rise of 1% from the end of last week and the sixth time in 2018 alone that it has been at this high. Political turmoil simply equates to gold as being a source of safety. Gold is valued all over the world and this is partly because it manages to hold value outside of the realm of politics. Many people who invest in this commodity believe that whilst the value of their paper money may decline with inflation, gold will not. This is backed up by the consumer price index falling to 0.1% in March after rising to 0.4% in February. Whilst this drop was smaller than expected it still managed to raise the price of gold. The stability of gold prices has a very clear relationship with the value of the U.S. dollar. When the U.S. dollar is on the rise, the price of gold drops. A ten-year chart correlating this shows that on the 4th September 2017 gold closed at a value of $1351.20/oz whilst the dollar closed at $116.74. By the 12th March, however, the dollar had risen to $118.56 and gold dropped to $1320.05/oz. The behavior of central banks with regards to gold has changed since the 2008 financial crash. The United States, along with Europe, on paper appear to hold most of their currency reserves in gold, and the level of investment in gold has been increasing. This is an immense force on the stability of the price of gold as their large purchases drive the cost of the remaining gold supplies up. A safe haven is not golds only value, it is also a valuable commodity in the jewelry and industrial industries. Many electronic devices today use gold as part of their components and gold, as always, is still being used in the production of jewelry. The United States, China, and India have the biggest demand for gold in their jewelry sector. In India gold is still used as a source of currency and in China, it is seen as a sign of opulence. The rise in demand for technological gadgets such as mobile phones, laptops, and GPS devices creates the need for more and more gold for their production. High demand for a product can and usually does cause a rise in the cost of that product. This, in turn, can affect the stability of its price. As with any other commodity, the price of gold production can fluctuate. This means that miners will raise and lower the price they sell gold at to protect their profits. At present, there is only a small amount of gold produced each year, around 2500 metric tonnes. This may sound a vast amount but when you compare it to how much gold there is in the world’s entire supply, 165,000 metric tonnes, you realize it is very little. This apparent rarity of new gold being produced can also affect the stability of the price of gold.